Yazovki is home to 300 adults with intellectual and physical disabilities. ​It is a great pleasure to welcome everyone here today to mark the official opening of this wonderful facility here on the territory of Yazovki Internat, in Belarus. 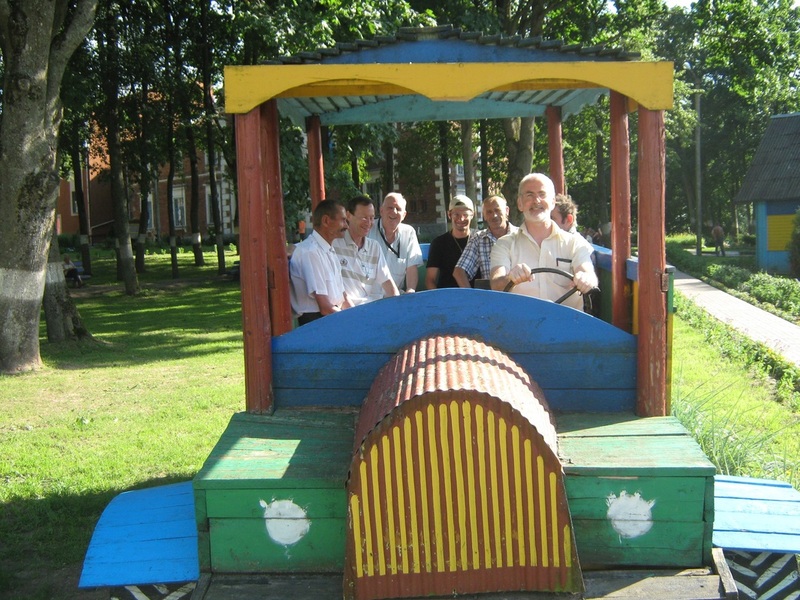 For many years now volunteers from Ireland have been coming to Belarus to work with the children and adults in the orphanage, bringing aid, bringing concern and bringing the hope and promise of a better future. Edel Smith has done wonderful work in Cherven Children’s orphanage and it was her dream always that when they had to move on to an adult internat that it would be to a nice place, and not an institution , to a place of their own and to a place where they were not just numbers but people with a place they could love. Edel set out to create a home for the children she had come to love. Today marks the end of her dream and great thanks and credit is due to all who have been involved. 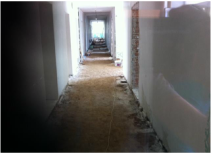 The hope now is that this building will be the standard into the future for special needs care in Belarus. Edel cannot be with us today but for herself she just wants some photos. "I just want to see the faces of my friends when they arrive into their new home," she says. ​On the grounds of Svir Adult Asylum there is a sort of little bus made of wood, complete with wooden steering wheel, where the residents sometimes sit, sometimes wait to pass the day and perhaps imagine they are off to somewhere exotic. 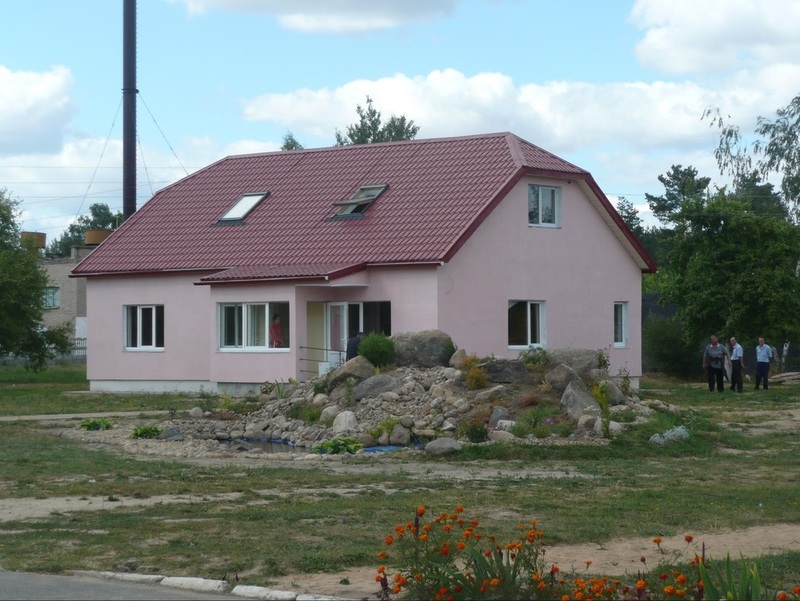 Svir Adult Home is in a beautiful part of Belarus. To get there one passes lovely lakeland in the north western area of Belarus. The journey from Minsk takes about an hour and a half; and it was to Svir that the group of volunteers from Roche in Clarecastle headed on May 30th 2010. 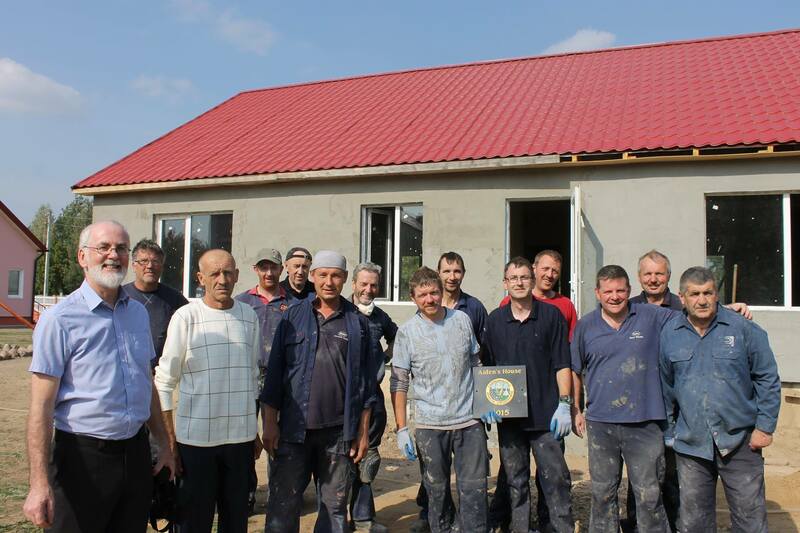 For some it was a new experience, for other stalwarts they were returning to continue the good work which they had begun in Minsk building a day care centre, and further developed in carrying out major renovation work in Yazovki Adult Home. Svir is made up of a few different parts; one part is an old gentleman’s home, where perhaps a rich landlord lived. To this has been added a new building, a bit incongruous, but which forms the main area housing some of the uncared for and unwanted in this part of Belarus. Completing the cycle of buildings is another one storey building which houses the invalids. It was Zhenya every morning arriving to help. He was accompanied by Victor amongst several others. Victor was a mighty man who horsed into the work knocking down old walls or carrying in bags of cement. Only Frankie could match him! They were all delighted to help and mad eager to be of assistance. Their labours were interrupted only by their need to go and feed at their appointed time in the orphanage dining room, or when they had to retire to their locked up areas late in the evening. The work progressed well with the Three Martins opening up a special tiling department workshop! The residents got to know the Roche men as the days passed – Tom, Joe, Eamonn, Frankie, Fergus and the three Martins. They enjoyed getting little presents of sweets. But they never grabbed for them. They looked after one another or asked for a few for their own friends who were away in the fields working. They knew who were the smokers and were delighted to get gifts of a few smokes when the week ended. It was fun and interesting having people around. There was joy and happiness in the air – for them and for the Roche lads. They even waited in the evenings for those who could play football. Everyone and everything was under the guidance of Yura who has been working with Burren Chernobyl Group and with the Roche Volunteers for all their trips. Everything, that is, except the feeding and cooking. This was in the capable hands of Tom who worked late and early to feed the hungry men only to earn the name Mama Tom. Huge work was done with new shower units installed, floors put down, walls plastered, ceilings scraped down, sanded and painted. New toilet areas were prepared and new shower units installed, all tiled and finished off. That was the work which could be seen and measured. The greatest work perhaps was watching how the residents and the Roche lads worked together as a team. No one was more important or less important. Anyone who wanted to help was welcome to help at his or her own rate. No one was compelled to be other than themselves, no one was refused being part. Perhaps for some of the Roche lads it was a bit of a shock to walk through some of the units and see some of the poor conditions in which people live; perhaps it made some appreciate how good things are with us back home even in the current crisis. Kyl Adult Internat is home to 514 adult psychiatric residents. This was a two-year work programme which we began on October 25th 2004. The work was done by Yura Kryk and his helpers from Belarus as well as some groups of men going out from Ireland to help out. It was a huge job and psychologically difficult for the men who went there to work. However, conditions have been greatly improved and for the adults living there things are much better. - Industrial Laundry equipment – washing machine, centrifuge, etc. - Building materials- cement, timber, flooring, acryl, etc.